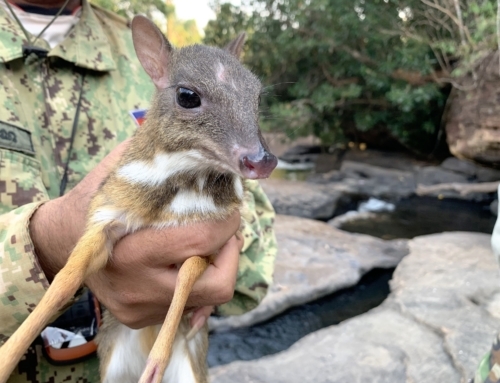 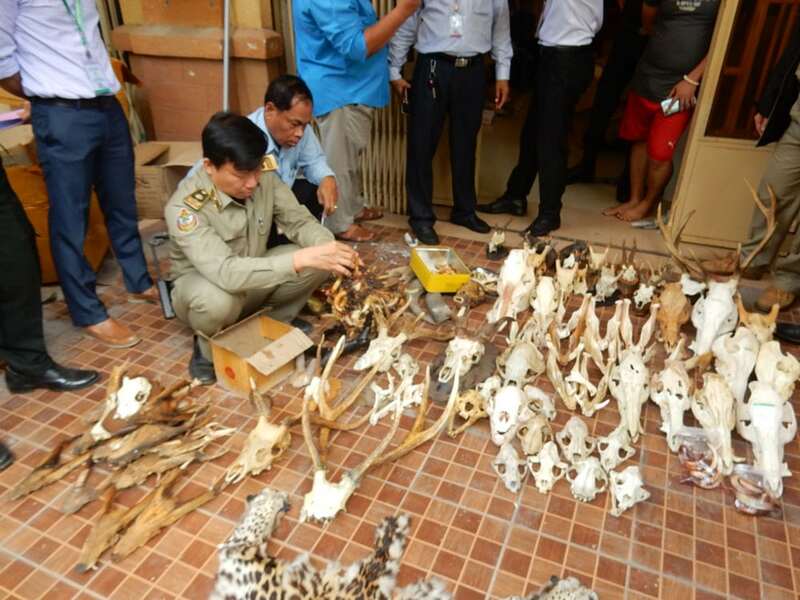 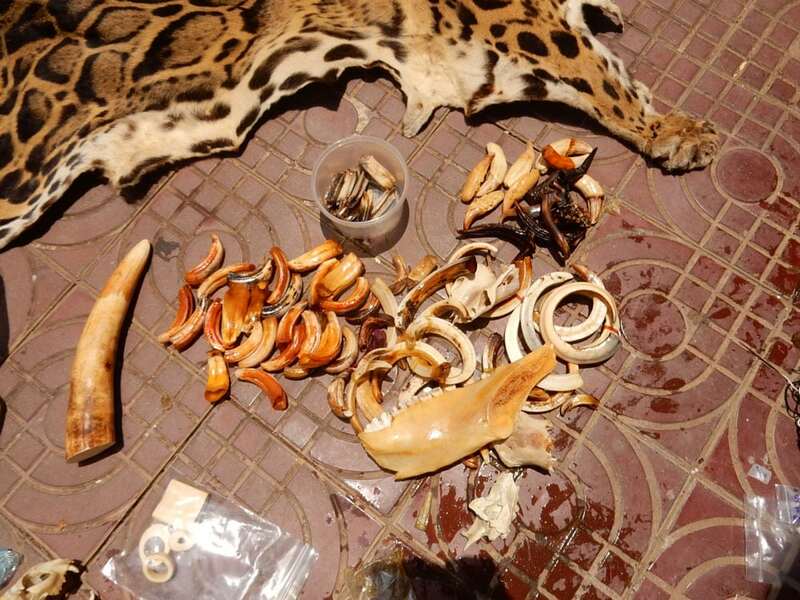 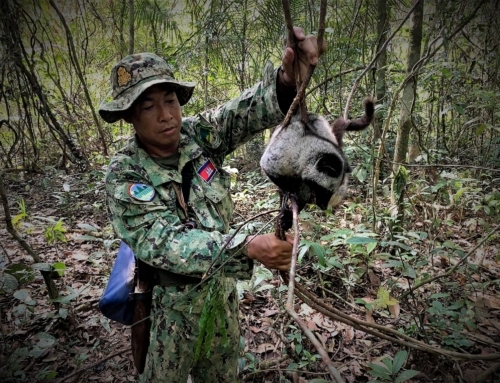 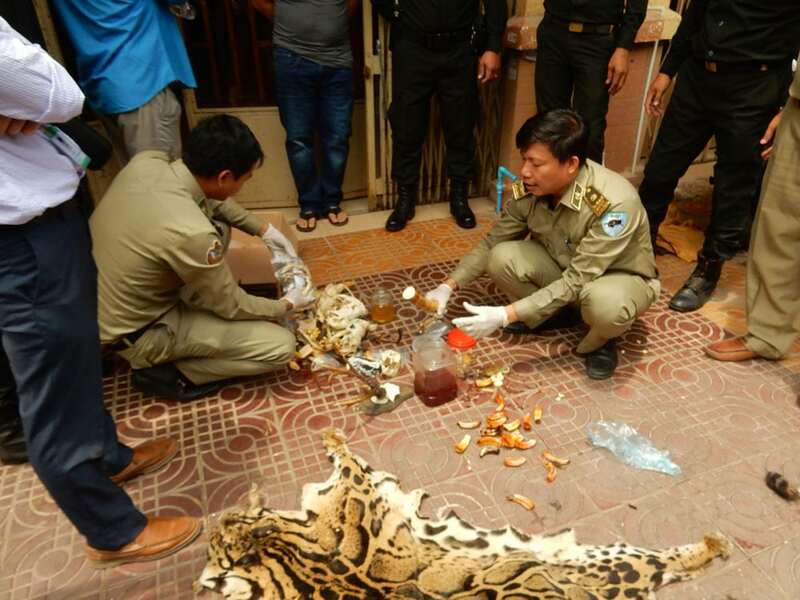 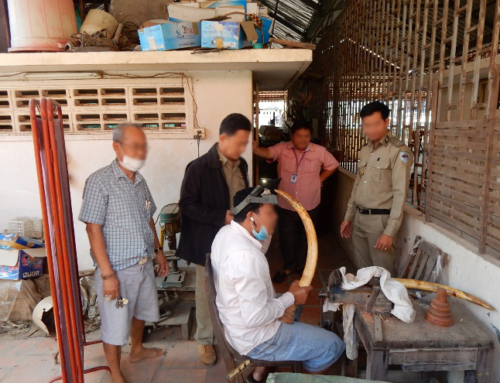 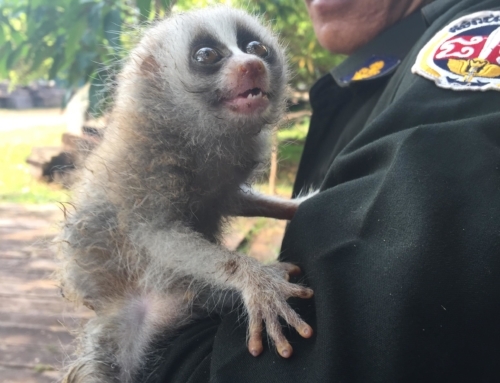 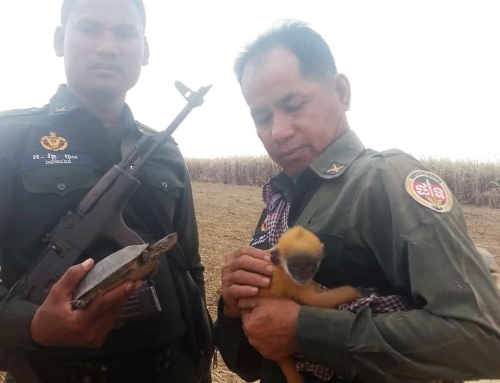 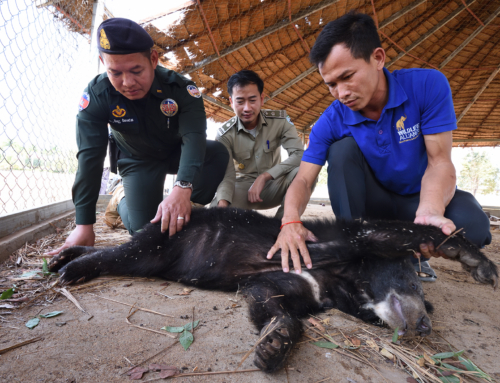 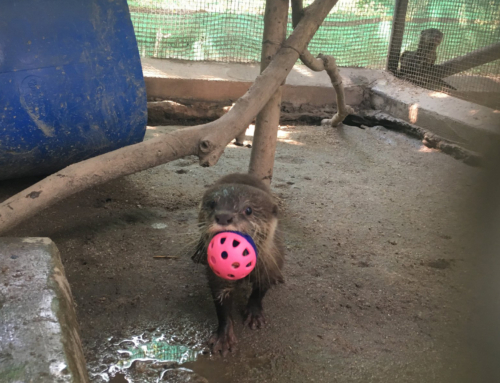 After an intensive investigation, the Wildlife Rapid Rescue Team (WRRT) identified and located a prominent wildlife trafficker in Phnom Penh who was selling a variety of wildlife products of species endangered in Cambodia. 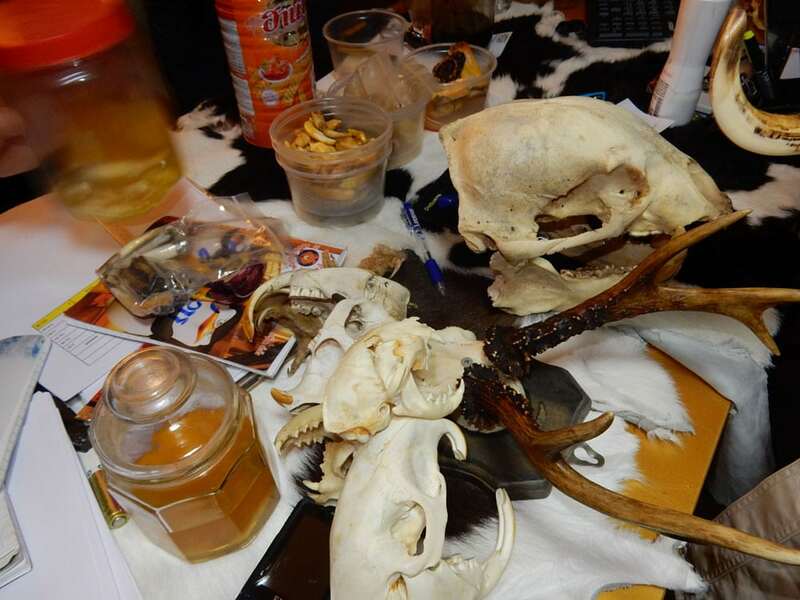 They obtained a search warrant and in the early morning on May 10th, the WRRT split into two teams and simultaneously surrounded two houses containing wildlife products. 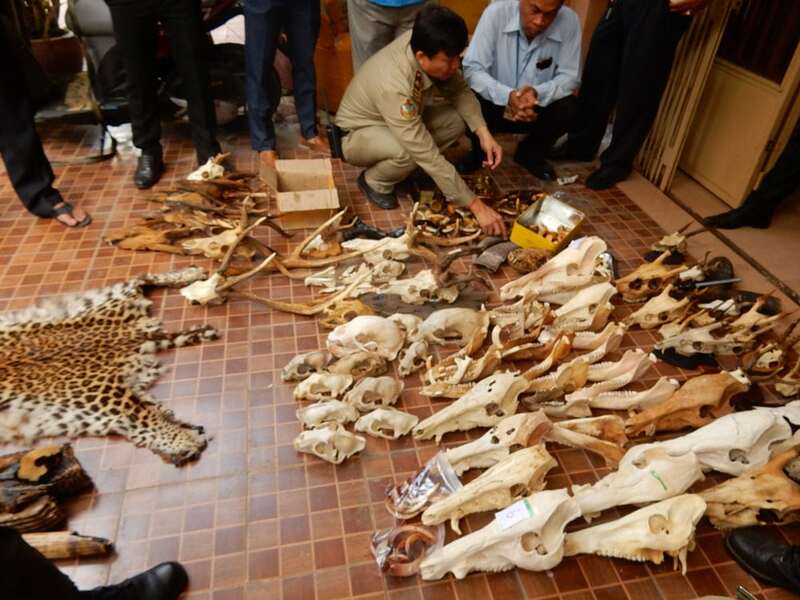 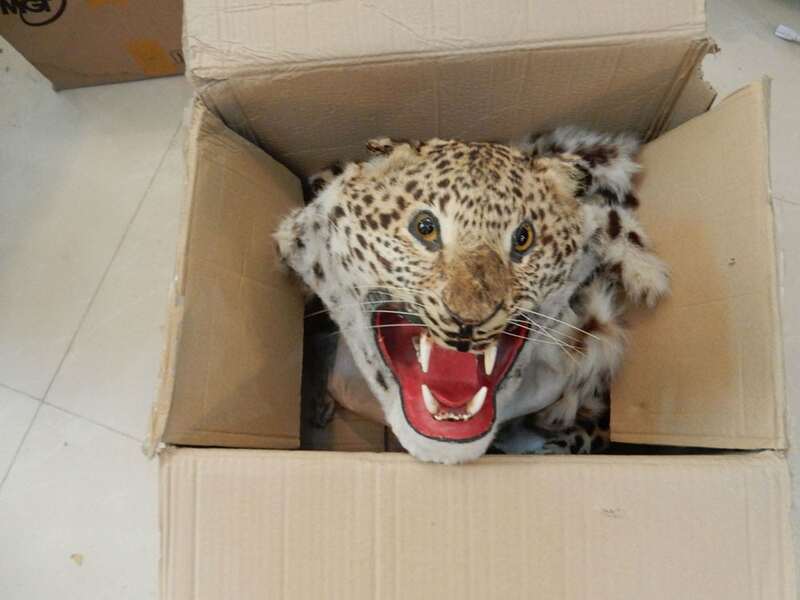 The WRRT searched the homes and found a staggering amount of native and imported wildlife products including leopard, clouded leopard and sun bear pelts; elephant ivory; tiger claws and whiskers; sun bear and Asiatic black bear claws and gallbladder; elephant, leopard, black bear, sun bear, muntjac, sambar, porcupine and macaque skulls and skull parts (56 total); porcupine stomach and whiskers; hippopotamus teeth; 72 wild pig tusks; and a variety of other wildlife products. 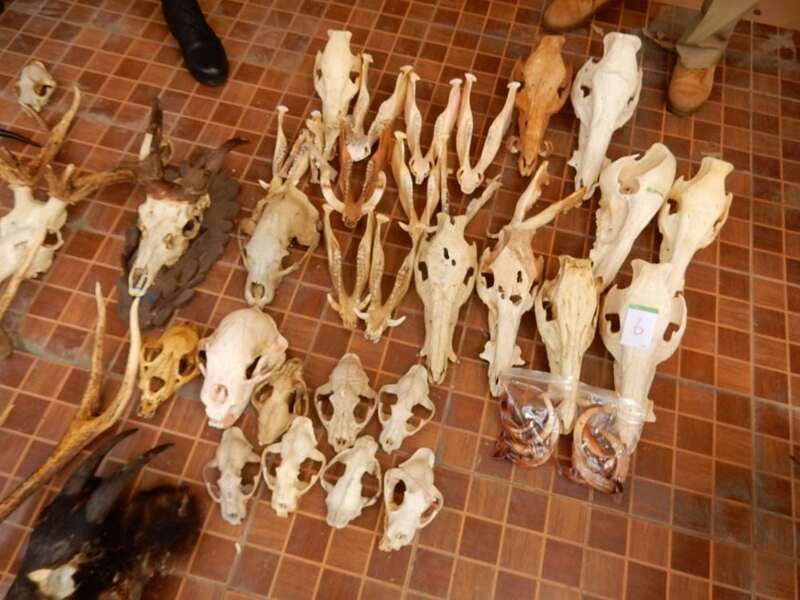 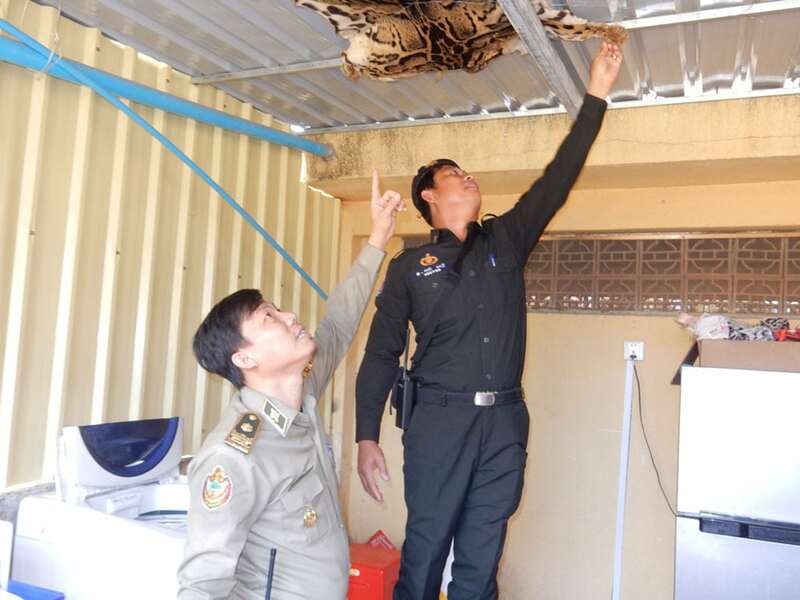 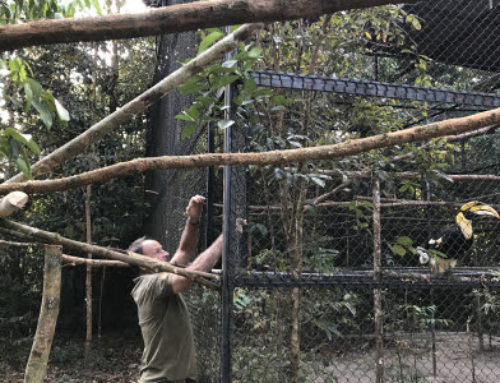 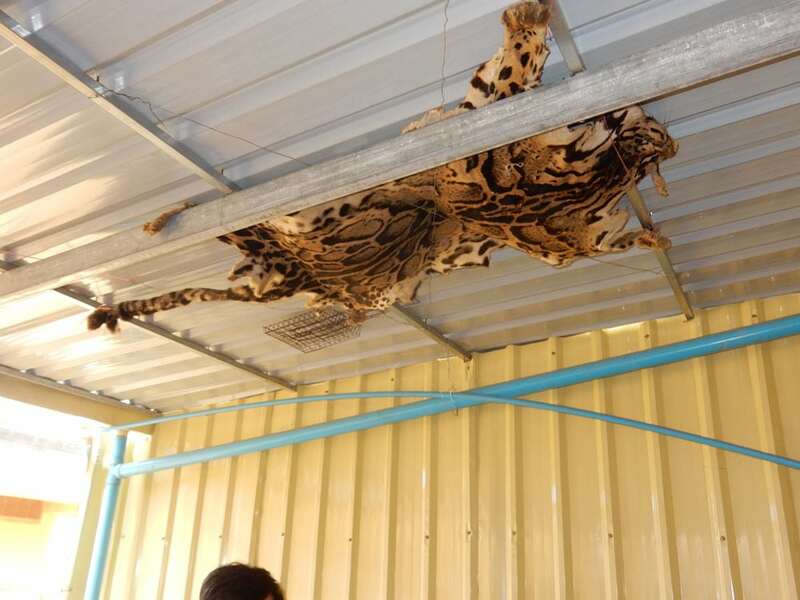 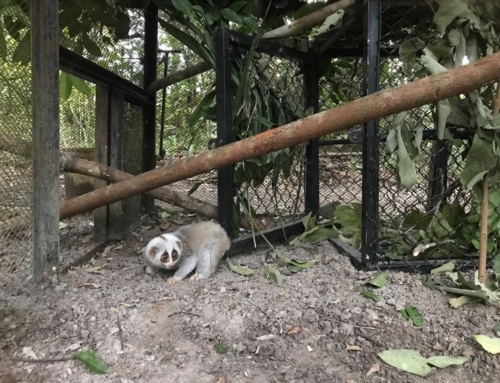 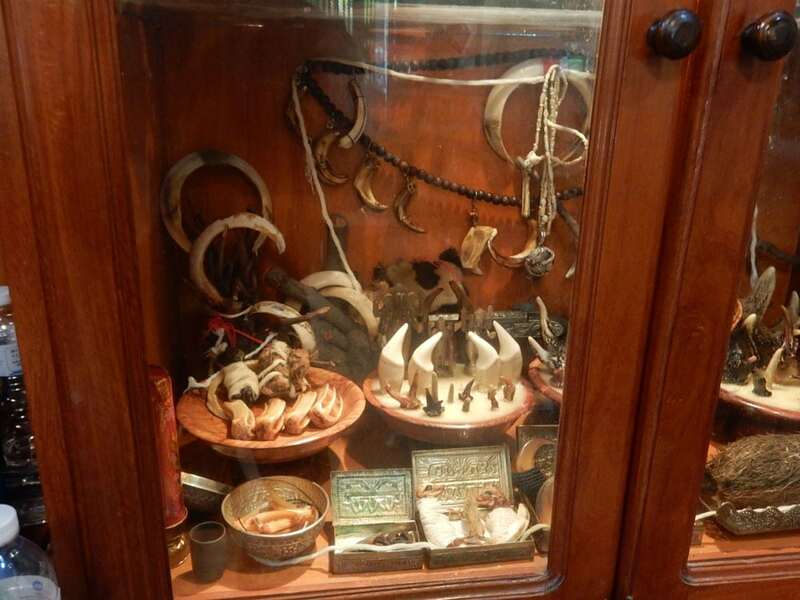 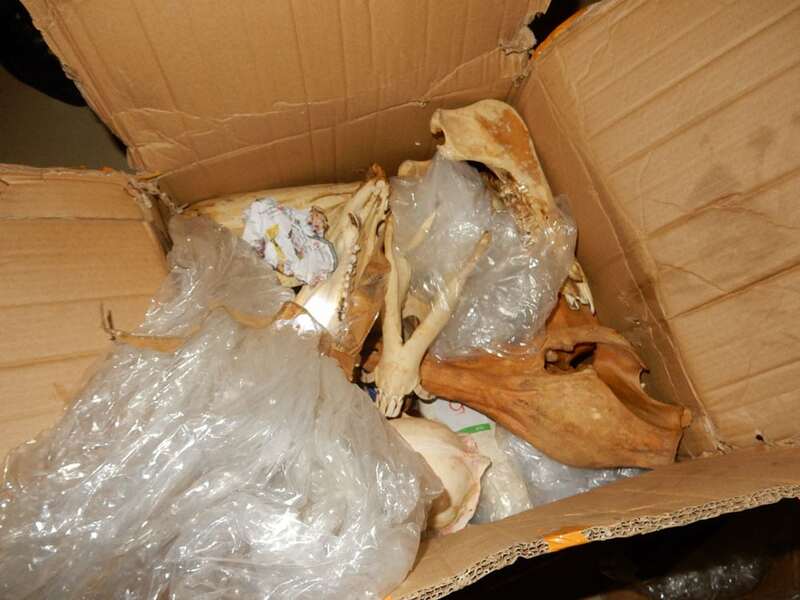 The wildlife products were confiscated and two offenders were arrested and will be held by the Forestry Administration until they are handed over to the court. 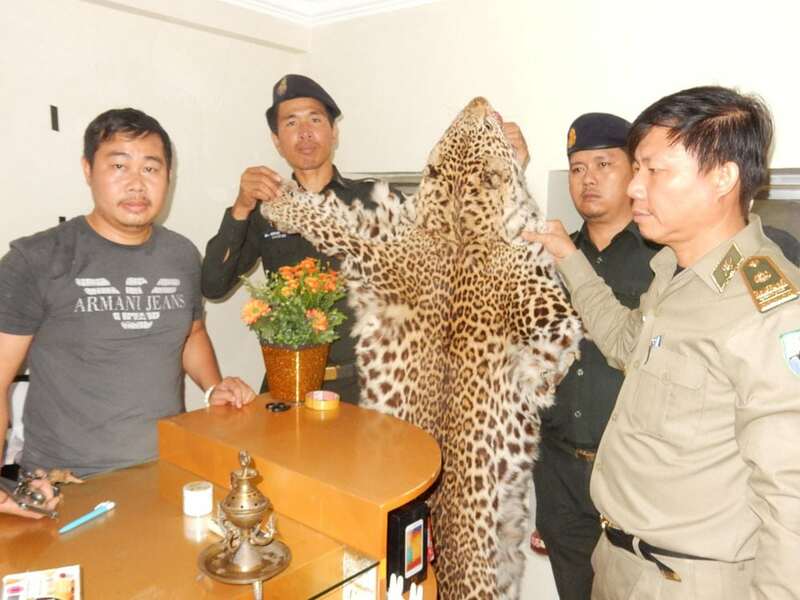 My heartfelt gratitude to the brave and caring people of Wildlife Alliance who are fighting this most evil of all industries. 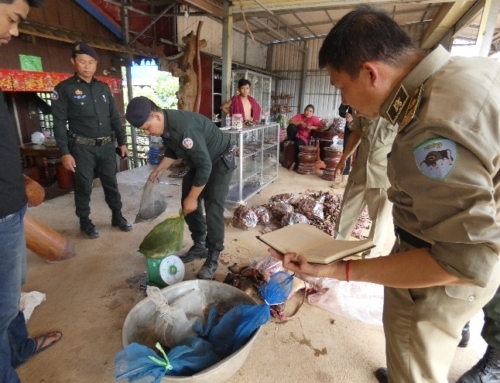 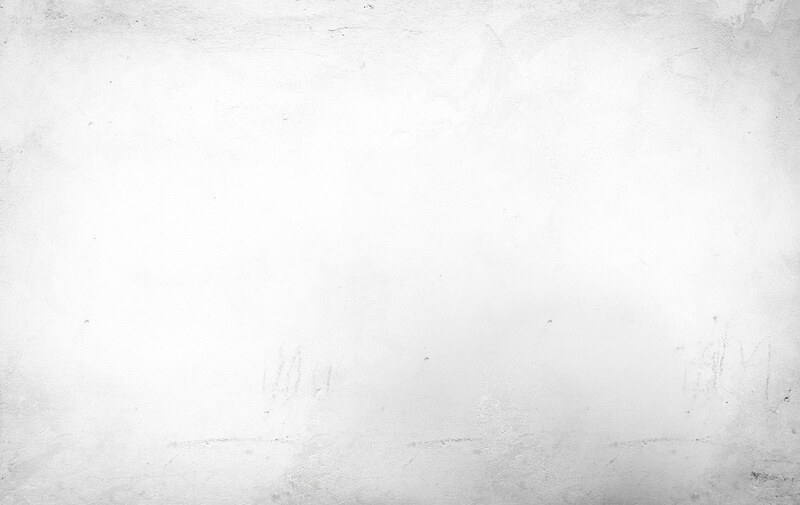 The sick killers and traffickers of the innocent would not be in business if people did not buy their wares. 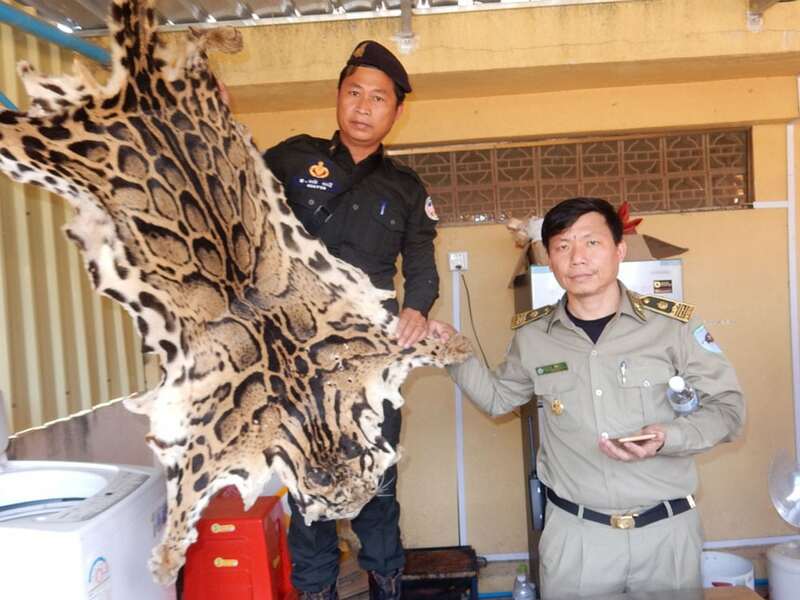 The wealthy industrialized nations whose citizens are the bigggest buyers need to pass laws against buying these products across the board, and meting out harsh punitive actions against anyone who participates in such a reprehensible trade, at any level.